This is the fifth year where some of the finest artisans of the Niseko region will gather to bring you the Niseko Craft Art Festival. An extensive collection of arts, crafs and handiwork will be showcased at Chalet Ivy on Hirafu-zaka main street from the 5th to the 9th of October. Every year, a wide array metal handicrafts, natural fiber clothing, furniture, toys and art pieces are displayed. 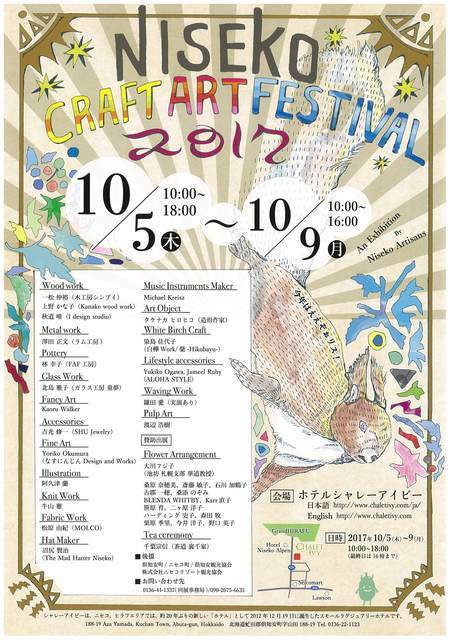 Come and meet passionnate artists who share their creations at the annual Niseko Craft Art Festival!